Gotta Minute? Then you have plenty of time to check out the Gotta Minute Film Festival. 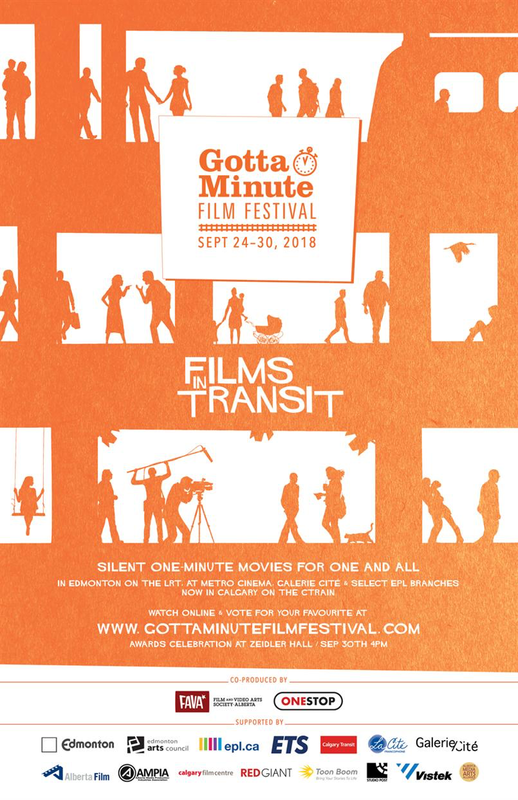 From September 24-30 you can watch One-Minute Silent Short Films from around the world in Edmonton on an LRT platform screen near you and in Calgary on the CTrain! Other venues include Galerie Cité at La Cité Francophone, the lobby screen at Metro Cinema, at select Edmonton Public Library branches, the Calgary International Airport and on the Gotta Minute website where you can cast your VOTE for your favourite film. Don’t miss this on-the-go festival in public spaces. September 24th – 30th. Visit gottaminutefilmfestival.com for schedule and details.